Why is this still happening in 2017? This does not seem fun. 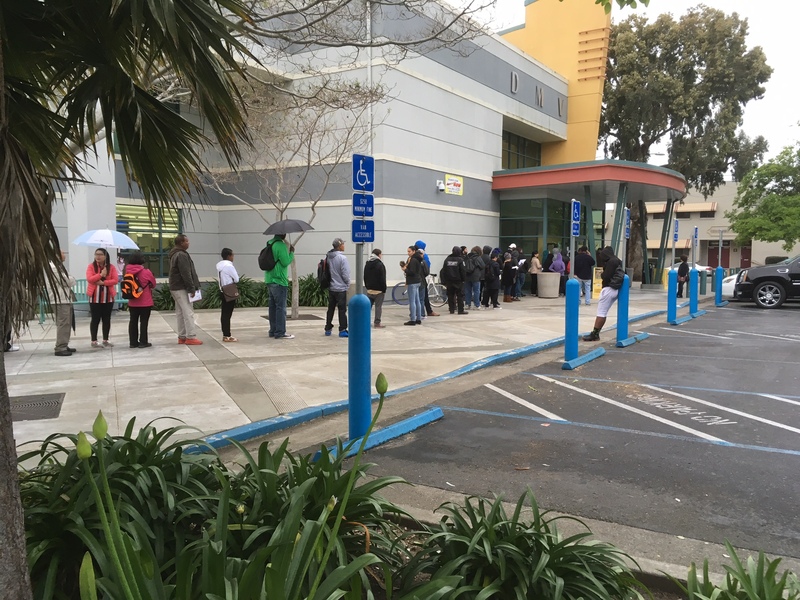 Nearly 50 people in line before the Oakland DMV opened this morning, in light rain, hoping to beat the rush that only gets longer as the day progresses… Here are a few photos from it. 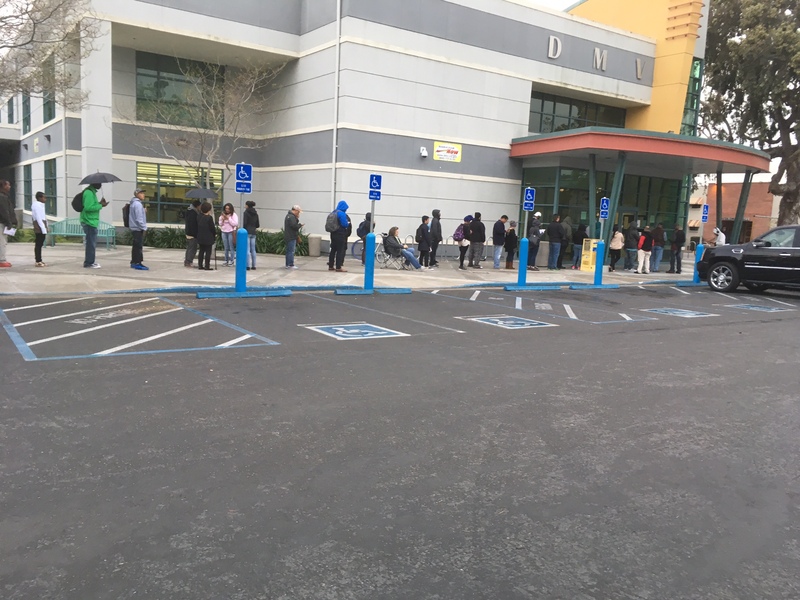 Unless you NEED to go to the DMV ASAP, please please book an appointment and save yourself from this.